Recently, I came across this thread of comments on Quora. What perturbed me the most is the advise itself. 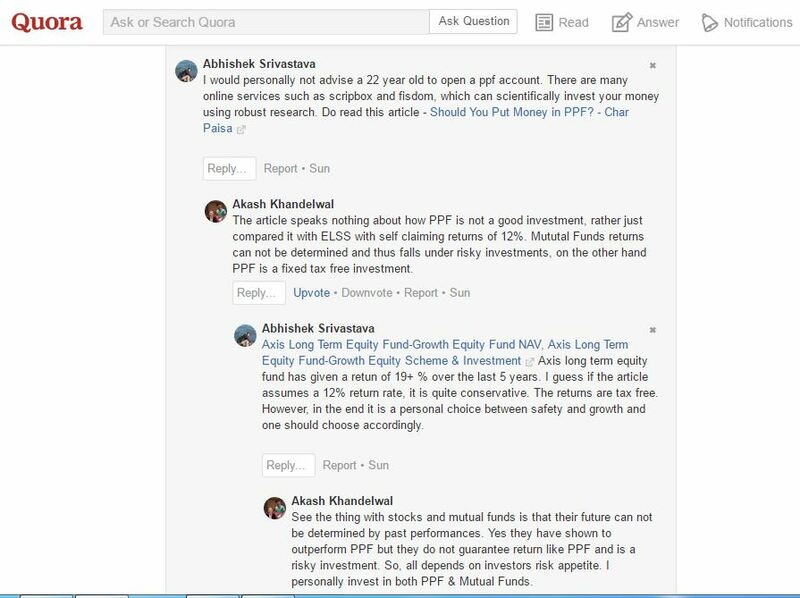 How can you advise a young 22 year old person to invest in PPF without investing anything in Equities or Mutual Funds? There is a lot of free advise out there but is not always the best one. 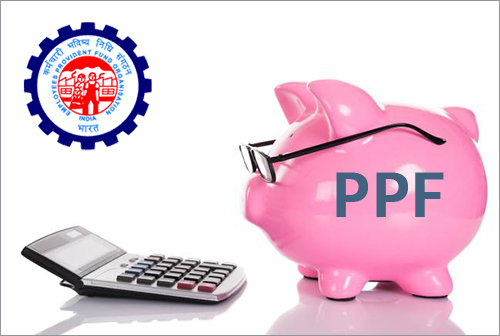 PPF is a good investment option if you are only looking for security of your funds. It is not a good one if you want to grow your money or become rich. Please have a look at this article if you really want to understand the pros and cons of investing in PPF. Outstanding post but I was wondering if you could write a litte more on this subject? I’d be very thankful if you could elaborate a little bit more. Thanks! Very good information. Lucky me I found your website by chance (stumbleupon). I have saved as a favorite for later!